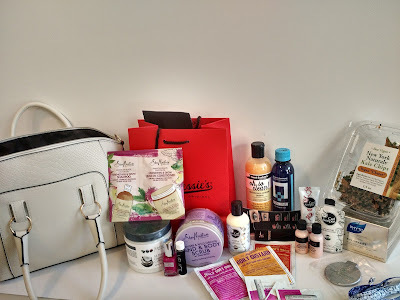 In celebration of "Women in Business Month" I attended the Handbags of Hope Exchange Beauty & Wellness Showcase at Roe 7 Studios on Sunday, March 6th, in Hoboken for a day of learning, sharing and giving back. Attendees had a chance to meet with beauty/wellness professionals, win prizes, and listen to success stories, tips and personal stories of empowerment from inspirational women. The event supported Harvest of Hope Ministries and Dress for Success Hudson County. 100% of all the event's gains are being donated to Dress for Success. 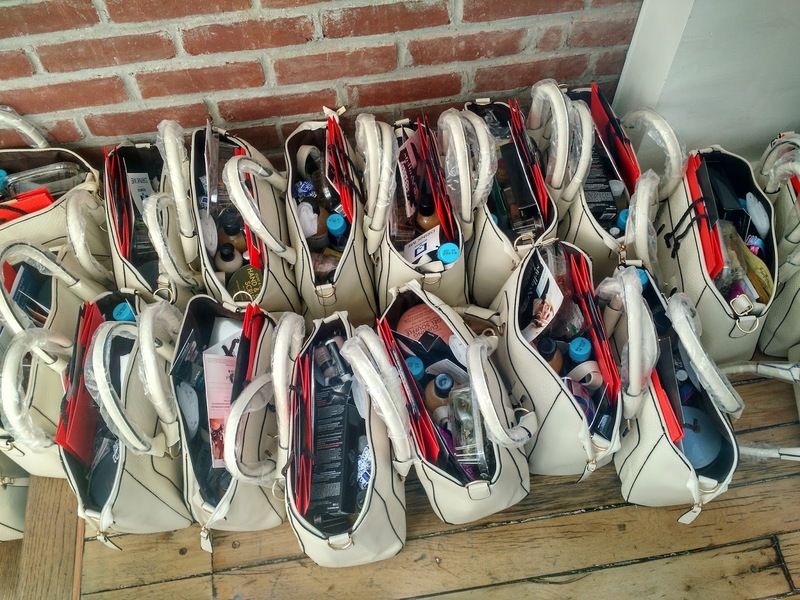 Each guest brought a gently used handbag filled with new toiletry items as a donation to Dress for Success in an effort to continue restoring hope and confidence to women in need. 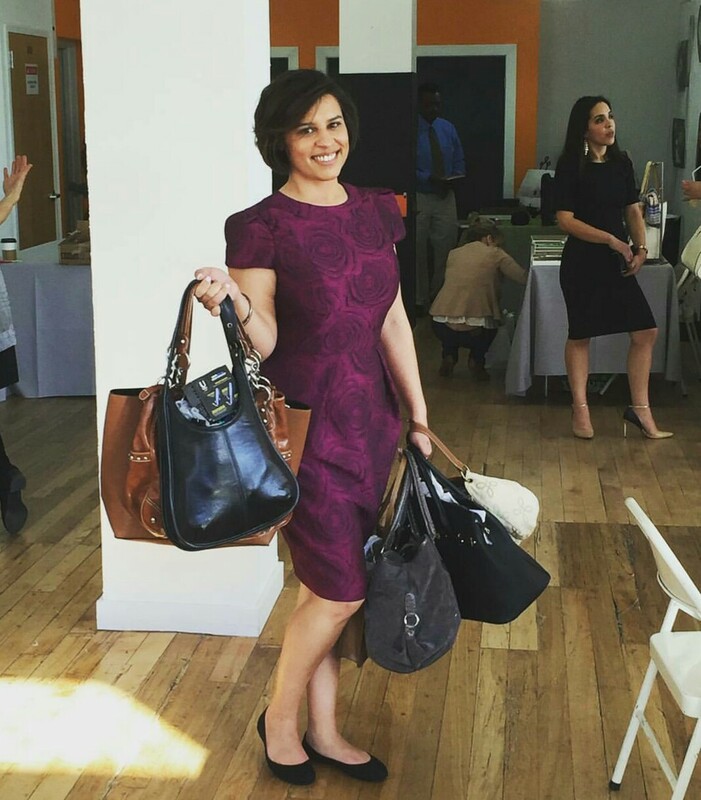 At the event, a total of 175 gently used handbags were collected for Dress for Success. During the event, Fashion stylist, Tiffany Pinero provided us with some styling tips, followed by a beauty panel with vlogger, beauty influencer and brand ambassador Isabel Bedoya, founder of Khuraira Cosmetics, Khuraira Musa, and owner of Hair & Makeup Lounge, Jennifer Pina. - Get inspired - make a Pinterest board or vision board. - Plan or strategize before you buy, so you don't end up buying things you don't need. After the beauty panel, Handbags of Hope founder, Erika Hernandez reminded us to figure out what you are good at, think about how it makes you feel, and figure out how to use your talent to make money. 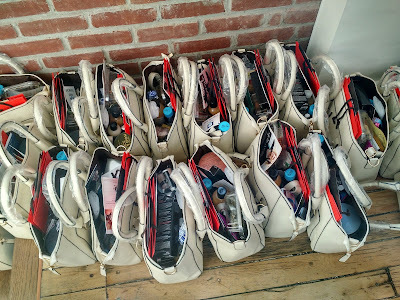 In exchange for bringing a gently used handbag filled with toiletries and snacks for a woman in need, the first 50 women who arrived at the event received a brand new handbag filled with products from sponsors and all other guests received a gift bag.